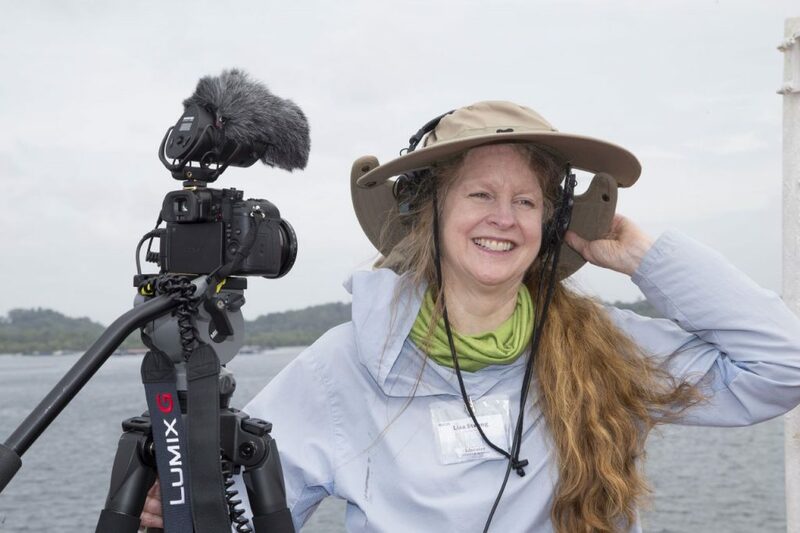 I sailed as a Video Producer on two JR expeditions. You know if I went again – spending two months at sea, working 12-hour shifts 7 days a week with no day off, it must have been a good experience. Or I’m just crazy. It was mostly the former. And both of my experiences working on JR expeditions were excellent. I had never been continuously at sea for so long before, let alone working with that intensity. I was very concerned about planning. I had back ups of back ups, since once the ship left port, all you brought was all you had for two months. No Fed Ex at sea for the forgotten, the broken, or the unanticipated thing you needed! Also, there was not a fast internet connection on board to download bandwidth-intensive media you didn’t bring on a hard drive. I was also concerned about what visuals I’d find. While you move to different locations, the view around the ship is the wide ocean at every site. I had no idea what I was in for on the first expedition. What I did not anticipate was what a satisfying collaborative experience it was being embedded with a group of scientists and technicians all working together on a mystery they were all fascinated by. Long hours of intense focus were punctuated by meals and short social breaks together that built a team. We talked about science constantly. We were free of the routine obligations on shore, of home and institutional work chores. The cross-disciplinary conversations enlightened everyone, and moved science forward faster than years of silo-ed work and minimal exchanges. It was a pleasure to witness and be part of it. That sense of teamwork overflowed into the videos I produced. Scientists and technicians were open and often eager to collaborate with me. They came up with story ideas they could use with their students back home. They played guitar for me. They helped create ways to visualize the science for video. [I’m looking at you “turbidite tank “ builders!]. There were also people on board who could fix anything, and they often had an extra whatever it was I thought I forgot – or they would build it. It turns out there was plenty to shoot, but there were challenges, some I never really overcame. I just had to think differently about them. My main issue is the general noise level on a working research ship. I walked through the ship with my ears open, searching for a quiet place to record interviews. Many places had a background ambient level of -12dB, which is where I actually want my voice levels to be around. I found the education officer/video producer office was actually one of the quietest and most accessible to me locations, just not the best background. Fine, shoot wide open and blur the background. Other times I just embraced the loud ambience. It was part of the experience. This audio challenge even inspired a music video idea, to create loops from all the interesting and loud sounds on the ship and create a song with them as the primary instruments. I still hope to do that some day.